Discussion in 'Washington D.C.' started by Rastus, Nov 8, 2018. The mob is back the day after the election. I hope that they don't whine too much after some of them get shot and killed, because it's just a matter of time. Harassing someone at their house isn’t protesting its terrorism. I can’t believe people are stupid enough to put any of them in charge. Most of these types think that this terrorist behavior is a way for them to somehow "win" something. These are the same people who can't even articulate their thoughts or arguments to defend their beliefs. We have several on here. Most of these types were the ones picked last in gym class. Antifa, this guy is what you got? 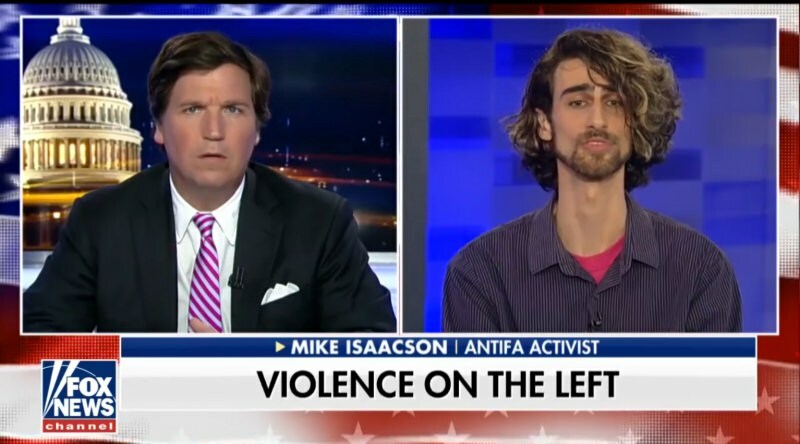 Looks like he needs that pencil neck snapped. Antifa claims to be "anti fascist"
Using violence to obtain political results all but defines fascism. Besides what happened to people? Radicals from the Democrats have strayed even further left. And notice how this behavior isn't condemned by anyone from the media or the Democrats? They are giving this behavior their silent sanctioning. And notice how this behavior isn't condemned by anyone from the media or the Democrats? They don't dare condemn them, they don't want the monster they have condoned and help create to turn on them, and it would, and at some point it will as soon they sit down long enough to figure it out. These useful idiots are too stupid to realize their the people who would be shot when something goes wrong, not the community organizers who are behind this crap. Yep. The Dems push the useful idiots out front so that they take the first bullets. The dems support every bit of the violence. buffalobill, falconfan, Northern Flash and 2 others like this. Someone on the right so much as farts and its a national tragedy, these people attacked a poor woman in her home and they are ok with it. Same here. When that one piece of garbage was slamming his body into their front door, that was more than enough reason to fear for your life. I would have had no problem shooting holes through my front door. These people are putting their own lives in jeopardy. And I must admit that I hope some of them are shot and killed soon. Then we will see if the rest of them are really committed to their cause. Jeepers....What if somebody tells antifi that Tucker is an accomplished author, why they'd most likely burn his books, than some folks might just seem recall thats happened before. There are Antifa/Democrats stupid enough to purchase books, only to later burn them in protest. If I were an author, I would hope that was their game plan, either way, my book sells. Those a-holes are about a Bic lighter and some gasoline from burning folks out of their homes(not a stretch either), they've already run several people out of their favorite eateries, would appear they think they're some kind of master race or something, that would explain Soros funding them and his adoration for them, it does not however explain the elitist left's love of them, because they'll be next without a doubt. They will harass the wrong person soon, then they can whine about getting their stupid asses shot. The wick is lit, and just waiting for detonation.